In the early days of my business, I did all I could to please each customer and potential customer. Is my product too expensive? Here’s a discount code. You want ongoing updates to this product without paying more? You’ve got it. You’re unhappy with my product? I’ll spend several emails trying to make it right for you. If you do this, stop. Please, stop. By trying to please everyone, you’re wasting your time on “misfits.” This time could be spent serving your ideal audience. Let’s take a closer look at the types of customers and potential customers who are misfits — sucking away your time, value, and money. Sometimes a potential customer’s first exposure to my business is via a product landing page. They’ve never read my content before. They haven’t attended a webinar. They don’t listen to my podcast. This tends to happen when a friend or co-worker recommends someone to my products. Or they run a search and my product comes up. I’m considering booking a one-on-one call with you. The $497 price for only 45 minutes is really high. What kind of experience do you have to command these prices? Will it be worth my time? In the past, I’d write up a long response trying to convince this person that I’m “worth it.” I’ve figured out over time that this is a bad approach. My ideal customer is someone who doesn’t need to be convinced of my value. They’ve read my blog posts before — hopefully many times. They’ve attended my webinars. The bottom line is that these people already know what to expect from me. They understand and agree with my approach. There won’t be any surprises. Those who don’t know me are more likely to be disappointed. Had they been a reader of my blog, they may know sooner that my style and approach aren’t a good fit for them. Thanks so much for considering a one-on-one. If you set up a session, I want to be sure you’re satisfied. I’ve found that those who are most likely to be satisfied are those who already read my content and understand my approach. If there’s any doubt about whether you should set up a call, my recommendation is to hold off. I’ve seen it before. I convince someone to set up the call. It’s not what they expected. I’m not what they expected. They’re disappointed. Suddenly, we have to go through the process of determining whether to refund. I just wasted my time, and I feel like crap along the way. No more. My sales funnel is most effective when those looking to pay for something are loyal, long-time readers. They are much less likely to ask for a refund, and they are most likely to have a long lifespan as a member. I love what you’re doing, and I’m a loyal reader. I know I need to sign up for your training program. I’m just getting my business started, and I have a very tight budget. There’s no way that I can afford the $297 right now. Any chance I can get it for $97? Look, I feel for this person. I’ve been there. But for my business, it’s best to hold strong. By offering a discount, I’m watering down the value for those who paid full price. And those who paid full price have reason to be upset when a discount is this easy to get. Additionally, what ultimately happens is that those who require a discount take more administrative attention than those who don’t. More work for less money. Thanks so much for being a regular reader of my content! Unfortunately, there aren’t any discounts available at this time. My recommendation would be to wait until your budget increases. I never want you to buy something you can’t afford. In the meantime, there’s plenty of free content to consume. Have you checked out my free webinar? It’s the truth. I want you to be happy with your purchase. I don’t want you to pay for something you can’t afford. There’s plenty you can access for free in the meantime. There’s a way to both stick to your regular price and keep those on a tight budget happy. Those on a tight budget will appreciate it, and they’ll be more likely to be a loyal customer later. It’s possible that offering discounts makes sense for you. Do what works for your business. But it doesn’t make sense for me (with a few exceptions). You’ve heard the old saying, “A square peg in a round hole?” Yeah. As business owners, there’s temptation to try and make it work. Stop it. I’m a regular reader, and I’ve heard about your Power Hitters Club – Elite community. It sounds amazing, but I’m just a beginner and I’m just starting. While I can afford the membership without a problem, but will it be worthwhile for me? PHC – Elite is my community specifically for advanced Facebook advertisers. 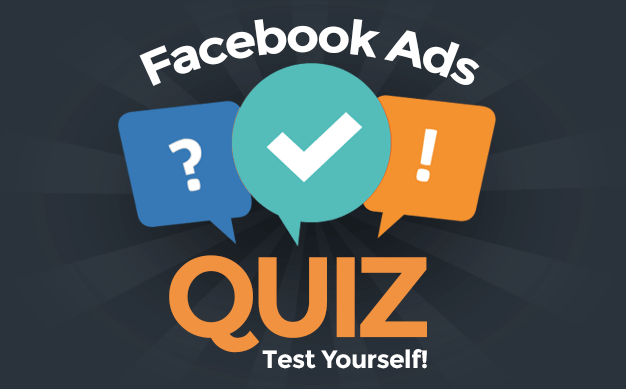 My ideal customer is someone who spends thousands of dollars per month on Facebook ads. That way, it’s easy for them to get enough value out of the $97 monthly fee to be worthwhile. In this case, the potential customer is a square peg. It’s a bad fit. They’re unlikely to get enough value out of the community to make the $97 per month worthwhile. As a beginner, they’re unlikely to add much value to the community. Their beginner questions may actually take away value from others. I would purposefully steer this person away from PHC – Elite. This type of potential customer is precisely why I created a PHC – Basic membership option. We all get them. You can’t avoid them. No matter what you do or how great your product, there will always be dissatisfied customers. I just attended the first lesson of your Facebook pixel training program, and I am really disappointed. You were all over the place, and you didn’t answer my question. It was really difficult to follow in the webinar format, and it would be better with live examples. Is this going to improve? My training programs are set up the way they are for a reason. It’s efficient. It’s easy to keep updated. And the webinars with slides keep me organized and on task. This approach, of course, is not right for everyone. I understand that. And I won’t force it. Handle it quickly. Don’t wait. Don’t waste time. Thanks so much for the feedback. Even negative feedback like yours helps guide my product creation, so I do appreciate it. Unfortunately, this program seems like a bad fit for you. This is the format that will continue throughout the rest of the program. Let’s take care of this now, and I’ll cancel your account and provide a refund. Sound good? Your instinct may be to get defensive. Or it may be to grovel and do what you can to make them happy. Neither works. Don’t try to convince the dissatisfied customer that they’re wrong and your product will be great for them. Take an honest look at their feedback and whether there’s any chance they’ll be happy going forward. The money isn’t worth it. If they aren’t happy, give them the refund and move on. A dissatisfied customer is bound to provide more stress and maintenance that you just don’t need. Some customers are simply high maintenance. You get daily emails from them. They expect special treatment and want custom solutions. Be very careful before giving in. A potential one-on-one customer wants a custom solution. They want two hours instead of 45 minutes. I get an email with their login credentials asking to log into their ad account. They want me to record the session and request a written report after. I’m sent five documents to review ahead of time instead of the simple questionnaire that I provide. They want an “urgent” appointment time that isn’t available on my calendar. Oh, and they want me to sign an NDA (which I, of course, never do). All of these things are well beyond the structure of my one-on-ones. I have everything set up the way it is for a reason. It’s how I can be most efficient and help the most people in the least amount of time. While I could come up with a custom solution for them, I don’t. Instead, I help them understand that this is the nature of my service and this is what you should expect. If it isn’t acceptable, don’t book your time with me. By caving, I would create more stress and dissatisfaction for myself. It’s not worthwhile. By being firm and clarifying expectations, one of two things happens: 1) They go away or 2) They accept my terms and are satisfied with the session. By being up front, they accept the terms and change their own expectations. This is for businesses with memberships built around a private community. It’s rare, but occasionally I’ll get a bad community member. They’re combative and argue constantly. They spam your community. They publicly complain about not getting the help they need when they provide no help to others. In the end, they provide negative value. It’s one thing if a member simply doesn’t participate. That’s a zero value member. But the negative value member is a huge problem. If you don’t do something about the negative value member, they will slowly erode the value of your community. They will make it less desirable for those in it. And you will lose money by continuing to accept money from this one person. Set very clear expectations for behavior. Have a moderator who can swiftly handle negative value members when they happen. Put out the fire before it starts. And take conversations offline if necessary. Finally, don’t hesitate to cancel and refund a negative member — even if you don’t typically offer refunds for memberships. Having them around can do way more harm than good. The bottom line is that we need to look long-term vs. the short-term dollar. Adding a few dollars now for a customer who is a bad fit is bad for your business. Steer these people away whenever possible. Any other examples you’d add? Let me know in the comments below!